Here’s my annual semantic caution: “rollfed” and “roll-to-roll” can sometimes refer to two different things—a rollfed printer could have a cutting mechanism and thus the printed substrate isn’t taken up onto another roll—but for our purposes here, the two terms will be deemed synonymous and interchangeable. As has been the case for the past couple of years, most of the action in roll-to-roll wide-format printers has been in textile printing, with two basic categories evolving in the market: high-end industrial textile production (your Dursts and EFI Reggianis) and commercial textile printing devices (your dye-sublimation and latex machines). The former category is characterized by dye or pigment inks that can print on a wide variety of natural and synthetic fibers, while the latter are often limited to some kind of polyester substrate thanks to the nature of the dye-sublimation process. However, some models have hit the market that are starting to bridge the gap between these two categories. In 2016, Durst Imaging debuted a new ink technology for textile printing called Durst Water Technology, which is positioned as an aqueous alternative to UV. The new ink set also launched the new “WT” product line, which kicked off with the Rho WT 250 HS, a 5.9-meter (213-inch) hybrid printer designed for signage, POP displays, and the like. Last year, Durst had also launched the 5-meter (197-inch) Rhotex 500 dye-sublimation soft-signage printer, as well as the 3-meter (126-inch) Rho 312R roll printer, targeted toward digital and offset commercial printing companies looking to enter the wide-format market. Durst also went back to the beginning of the Greek alphabet and launched a new line—the Alpha series—of industrial textile printers, which range in width from 1.9 meters (75 inches) to 3.3 meters (130 inches). The Alpha line is compatible with a variety of ink types—water-based, dispersion-dye, acid-dye, reactive-dye, and pigment—to cover the waterfront of textile types. 2016 saw the first fruits of EFI’s acquisition of Reggiani, a manufacturer of industrial textile printing equipment, namely the 1.8-meter (71-inch) EFI Reggiani ReNOIR ONE-600, designed for industrial textile production. It enables direct printing on fabrics with reactive-dye, acid-dye, disperse-dye, sublimation, or pigment inks, depending on fabric type. EFI had also launched the VUTEk FabriVU 340 3.4-meter (134-inch) disperse-dye printer for soft signage (it can print direct-to-fabric or via transfer paper), as well as the 3.2-meter (126-inch) EFI VUTEk LX3 Pro high-volume hybrid roll-to-roll/flatbed UV LED inkjet printer and the 3.5-meter (138-inch) EFI Quantum LXr LED roll-to-roll printer (the latter via EFI’s 2015 acquisition of Matan). Speaking of latex, HP spent much of 2016 expanding its Latex series printers, specifically the Latex 300 series. New units include the 54-inch (1.4-meter) Latex 315 and 64-inch (1.6-meter) Latex 335 and Latex 365 printers, which offer improved speed and a greater variety of supported substrates. These new 300 series machines are poised between entry-level and mid-range production. HP also introduced two brand-new Latex series: the HP Latex 500 and Latex 1500. The 500 series are mid-range production level machines, and the debut models are the 64-inch (1.6-meter) Latex 560 and Latex 570. The 1500 series is positioned between mid-range and the industrial-level 3000 series (would it be half as industrial as the 3000? ), and the debut unit is the superwide 3.2-meter (126-inch) Latex 1500. In other latex news, Ricoh launched the 63-inch seven-color Ricoh Pro L4160 rollfed latex printer which is suitable for signs, banners, wall coverings, indoor and outdoor advertising, POS displays, and more. This year, Mimaki will be rolling out a superwide 3.2-meter (126-inch) direct-to-textile printer, the TX500P-3200DS. Mimaki also has a new roll-to-roll UV LED printer, the 3.3-meter (128-inch) UJV55-320. At the other end of the spectrum, entry-level dye-sublimation devices are starting to proliferate, and last year Mimaki introduced the 54-inch (1.4-meter) TS30-1300 entry-level dye-sub device. More gap-bridging. 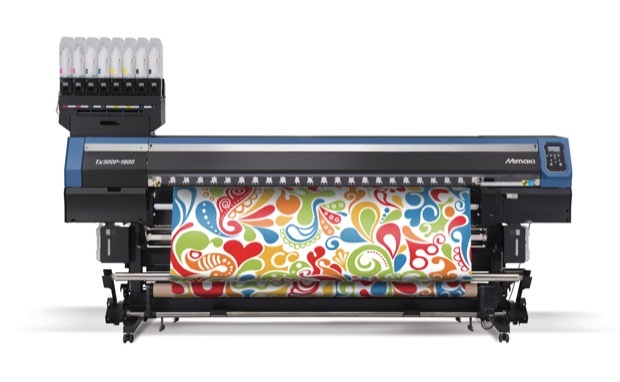 In 2015, Roland launched its 64-inch (1.6-meter) Texart series of a transfer-based, dye-sublimation printers designed for textile printing. The entry-level-ish Texart RT-640 comes in a four- or eight-color configuration, while last year the high-volume Texart XT-640 added fluorescent pink and yellow inks. 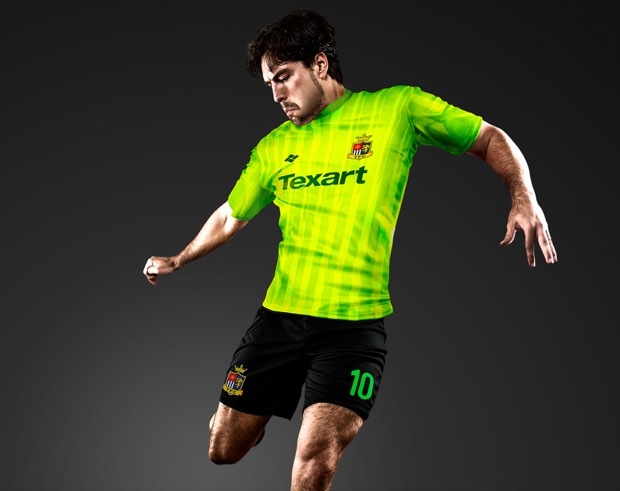 The Texart printers are well-suited for the full gamut of fabric-printing applications, including apparel, sportswear, fashion, soft signage, décor, promotional items, and more. In other Roland news, in 2016, the company debuted its new TrueVIS line of rollfed eco-solvent printers/cutters, starting with the 64-inch (1.6-meter) VG-640 and 54-inch (1.4-meter) VG-540. The TrueVIS series is designed to replace the legacy VersaCamm series, and features all new printheads (FlexFire) and inks. The big news (or “tease,” I should say) from Canon Solutions America (CSA) was last fall’s announcement of the company’s new UVgel printing technology and a corresponding line of roll-to-roll printers said to be launching early this year. UVgel is a new UV-curable ink that sets extremely quickly, and is said to have no discernible physical profile. In addition to the inks, the UVgel technology also comprises a “next generation” piezoelectric printhead, and a unique LED UV curing sub-system. We’ll be keeping an eye out for more news on this front. Despite all the attention that textile printing has been getting, believe it or not, people still do print on paper and other non-fabric materials. Epson launched three new SureColor rollfed printers in 2016. 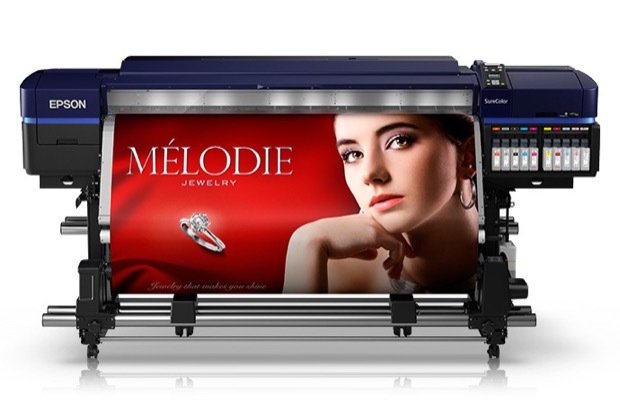 The 64-inch (1.6-meter) SureColor P20000 fine-art photographic printer was complemented by the 44-inch (1.1-meter) high-production SureColor P10000 targeted toward the upscale retail display graphics and fine-art photography printing communities. 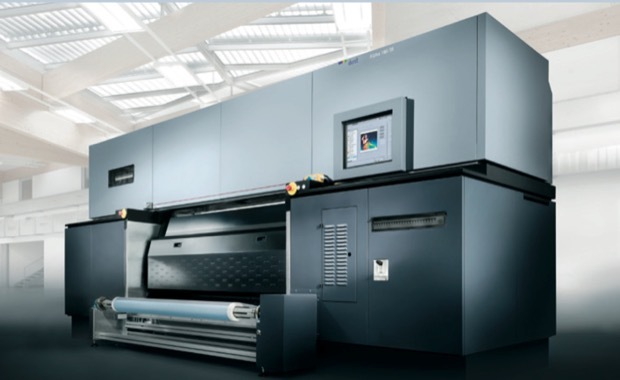 Epson also launched new 64-inch (1.6-meter) solvent/ecosolvent printers in its SureColor S series, the SureColor 40600, SureColor 60600, and “flagship” SureColor 80600. These roll-to-roll printers are targeted toward the signage, vehicle graphics, and fine-art reproduction markets. The 80600 is particularly suited to retail and similar applications, as it has an expanded gamut ink set that includes red, making this one of the only—if not the only—wide-format printer that has a red ink. (Usually orange, green, or sometimes purple are the colors used for gamut expansion.) I guess it depends which brand colors you need to hit. Last year, Mutoh introduced a fleet of new Valuejets: the 54-inch (1.4-meter) 1324X, the 64-inch (1.6-meter) 1604X and 1624X, and the high-capacity 104-inch (2.6-meter) 2638X. These are ecosolvent printers that are designed to print everything from vehicle graphics, to POP displays, to signage, to billboards. So when it coms to rollfed wide-format printers, there are lots of choices—and more on the way. There can be a “paradox of choice” element to all this, in that it’s easy to become overwhelmed by the options, like navigating the toothpaste aisle in the supermarket. But evaluating roll-to-roll printer options doesn’t need to be overly complicated. There are some simple, basic questions to ask yourself before evaluating units. Start with, “What do I want to print?” That will in large part define what kind of printer you’re going to need (and will also determine whether you need to opt for a flatbed route). Do you want to print textiles? If not, that makes the choice a bit easier. If you do, though, do you need dye-sub, latex, or some other option? What kind of textiles do you want to produce? Apparel? Then you’ll need dye-sublimation or perhaps a dye- or pigment-based industrial production system (dye-sub produces the most comfortable to wear printed textiles of all the commercial options). If you just want to do soft signage and no one is going to be wearing it, you might want to look at latex. What size do you think you’ll need? If you’re going to err on one side or the other, err on the side of having it be bigger than you really need, rather than smaller than you need, for fairly obvious reasons. What capacity do you think you’ll need? Are you doing to be doing a few one-offs or very short runs, or do you plan to crank out the rolls by the mile? That will also determine what kind of machine you need. Is it for indoor or outdoor applications? Some ink types can withstand the vicissitudes of nature better than others. What finishing will you need? Simple cutting? Contour cutting? Sewing? If you’re looking at dye-sublimation, you’ll need a heat press, which can cost more than the printer. They come in different configurations (rollfed or flatbed), which is another reason to have a very clear idea of what it is you want to print before you go shopping. When you do prowl the show floor at an SGIA Expo or contact a dealer, focus your initial questions on things other than speed and image quality, which are all too often the only things anyone ever looks at. These are obviously important, but there are other “under the hood” kind of issues you’ll want to focus on, such as the warranty—what it covers, how long it lasts, and if there are tings that might nullify it (like using third-party inks or replacing a printhead). Is there any training offered, and what’s the learning curve? Also pay close attention to the construction of the machine. Does it feel solid and sturdy? As printers get faster, they are more prone to vibration, which can affect image quality or even basic structural integrity. We really are entering a golden age of wide-format printing, and it’s more likely than ever that there is a rollfed machine that will suit virtually any need.